Thomas Nelson Publishers, 9781595542144, 341pp. Song Hawkins is a beautiful, tough, but lonely New York City businesswoman who thinks she's met the man of her dreams in Cable Jordan, the superintendent of a West Virginia coal mine. But soon after they impulsively marry, Song realizes they're in big trouble. She can't imagine life outside of New York, and Cable has no intention of leaving his beloved town of Highcoal. Song's visit to the little mining community only makes things worse. It looks like the marriage is over. 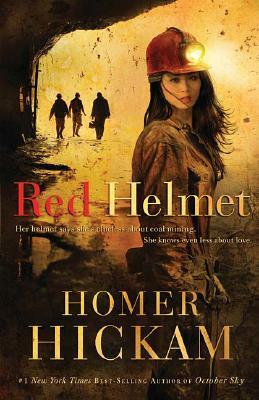 But in a shocking turn of events, Song realizes it's up to her to put on the red helmet of the new coal miner and descend into the deep darkness. There she faces her greatest challenge with choices and courage that will forever impact the life of Cable and the entire town.